Our self guided Montenegro walking holidays include two distinct regions – the coastal area (South Montenegro) with some of Europe’s most breathtaking scenery, where the Black Mountains meet the shores of the Adriatic Sea, and the northern region with its magnificent peaks, lakes and national parks. 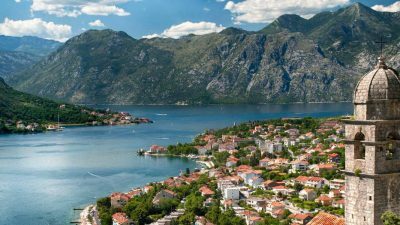 Spend four days of walking in the national park of Lovcen, then descend to beautiful Perast, enjoying amazing views of the Bay of Kotor. 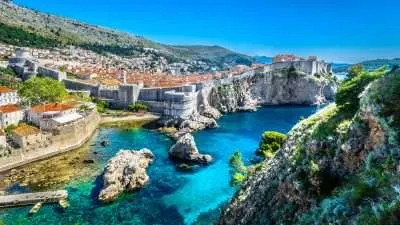 After two overnights at a beautiful seaside hotel overlooking the Bay of Kotor, move to Dubrvonik and spend the next five days exploring the Dubrovnik coast and the islands of Mljet and Sipan. Our Complete Montenegro Discovery 10-day walking holiday features the highlights of North and South Montenegro, including the beautiful Biogradska Gora – one of the last three primaeval rainforests in Europe, Durmitor National Park – a UNESCO World Heritage site, Lovcen National Park, and the fjord-like Kotor Bay, one of the most breathtaking coastal areas in Europe. The Summits and Lakes of North Montenegro walking holiday features two of the most beautiful untouched natural environments in Europe, including the exquisite natural wonder of Biogradska Gora, a UNESCO Biosphere reserve, one of the last three primeval rainforests in Europe, and Durmitor National Park, a UNESCO World Heritage site. 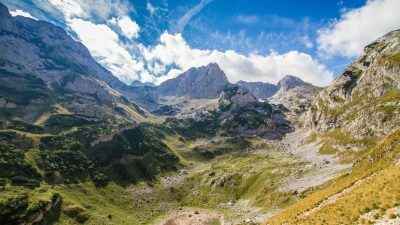 This self guided walking holiday combines some great hikes in the Albanian Alps (Accursed Mountains), and the mountains of North Montenegro. The Albanian Alps trails will take you through the rugged peaks of the Accursed Mountains. The North Montenegro stage features two of the most untouched natural environments in Europe. 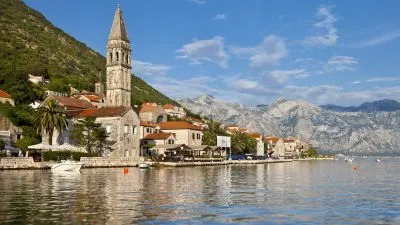 Old Montenegro and Boka Kotorska Bay strenuous itinerary includes some of the best walks in Southern Montenegro, considered to be one of the most breathtaking areas in the whole of Eastern Europe. Accommodation is at a 4*hotel in Lovcen National Park and a 4* seaside hotel in Perast. South Montenegro and Kotor Bay (Easy to Moderate) centre-based self guided walking holiday offers a truly wonderful itinerary which includes some of the best easy to moderate walks in South Montenegro. You will stay in nice hotels situated along circular routes that give you the best scenery available of Lovcen National Park and Boka Kotorska Bay. This is a short version of our Summits and Lakes of North Montenegro walking holiday which features two of the most beautiful untouched natural environments in Europe, including the exquisite natural wonder of Biogradska Gora, one of the last three primeval rainforests in Europe, and Durmitor National Park. This is a shorter version of our moderate South Montenegro and Kotor Bay dual centre-based self guided walking holiday in Montenegro. It offers a truly wonderful itinerary which includes some of the best walks in South Montenegro, considered one of the most breathtaking coastal areas in Europe. Our North Montenegro Activity Holiday combines six days of self guided walking in the beautiful Biogradska Gora and Durmitor national parks with four days of optional activities (kayaking, cycling, mountain biking, rafting) at a rafting camp located in the impressive Tara River Canyon. Where Do our Walking Holidays in Montenegro Take Place? Our Montenegro walking holidays offer genuinely beautiful itineraries which include some of the best walks in Montenegro, considered one of the most breathtaking areas in Europe. 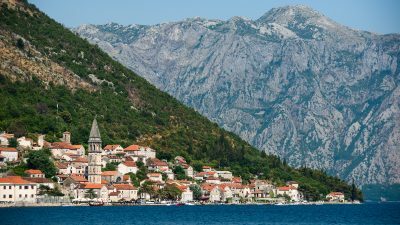 Our itineraries on the Montenegrin coast include walks in Lovcen National Park and Vrmac Peninsula, with fantastic views of the beautiful bay of Kotor and a chance to experience the quiet old world charm of Perast. Our North Montenegro walking itinerary covers the mountain regions of this truly breathtaking country and includes hiking in two of the most beautiful untouched natural environments in Europe, the serene natural beauty of Biogradska Gora, a UNESCO Biosphere Reserve and one of the last three primeval rainforests in Europe and Durmitor National Park a UNESCO World Heritage site. Our Complete Montenegro walking holiday allows you to walk the length and breadth of Montenegro in a two-week scenic self guided walking tour, which takes in all the iconic sites of this beautiful country. The Pearl of the Mediterranean, unique in many ways, is situated in the south of the Adriatic, in South-eastern Europe. 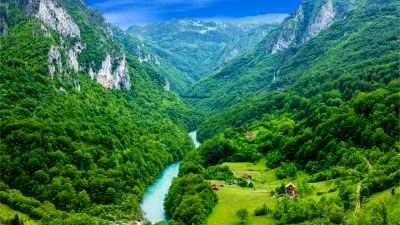 Nowhere else can you find so much natural wealth, beauty, mild beaches, clear lakes, fast rivers, and gorgeous mountains in such a compact area as in Montenegro. In the morning you can wake up along the beautiful Adriatic coast, have lunch on the banks of Skadar Lake, and enjoy an evening walk in the Montenegrin mountains. Montenegro cannot leave you indifferent. 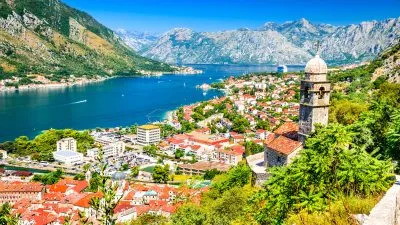 Montenegro ranges from high peaks along its borders with Serbia, Kosovo,[a] and Albania, a segment of the Karst of the western Balkan Peninsula, to a narrow coastal plain that is only 1.5 to 6 kilometres (1 to 4 miles) wide. The plain stops abruptly in the north, where Mount Lovćen and Mount Orjen plunge into the inlet of the Bay of Kotor. The mountains of Montenegro include some of the most rugged terrains in Europe, averaging more than 2,000 metres in elevation. One of the country’s notable peaks is Bobotov Kuk in the Durmitor mountains, which reaches a height of 2,522 m. Owing to the hyper humid climate on their western sides, the Montenegrin mountain ranges were among the most ice-eroded parts of the Balkan Peninsula during the last glacial period. 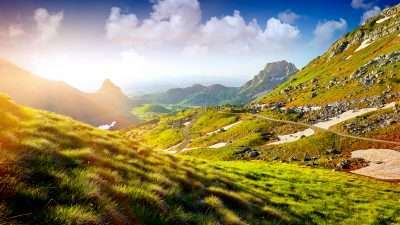 The diversity of the geological base, landscape, climate, and soil, and the position of Montenegro on the Balkan Peninsula and the Adriatic Sea created the conditions for high biological diversity, putting Montenegro among the “hot-spots” of European and world biodiversity. The number of species per area unit index in Montenegro is 0.837, which is the highest index recorded in any European country. Montenegro has five national parks which cover about 10 percent of the country’s territory. Four of them are included in our itineraries. The Durmitor is a massif that gave its name to the national park in northwestern Montenegro. The highest peak, Bobotov Kuk, reaches a height of 2,523 meters. The massif is limited by the Tara River Canyon on the north, the Piva River Canyon on the west, and by the Komarnica River Canyon on the south. To the east, the Durmitor opens to a 1,500 m (4,921 ft) high plateau, called Jezerska Površ (Plateau of Lakes). The Sinjavina mountain is located to the east of Jezerska Površ plateau. Biogradska Gora is a forest and a national park in Montenegro within Kolašin municipality. It is the site of one of the last three large virgin forests in Europe. The landscape is one of mountain ridges, glacial lakes, and temperate forest. The National Park is 54 km² in area. 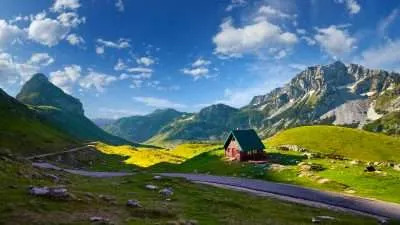 Essential elements of the Park are untouched forest, large mountain slopes and tops over 2,000 meters high, six glacial lakes, five at an altitude of 1,820 meters and one easily accessible lake at the very entrance to the park, Biogradsko Lake. Swift streams cut through the scenery of Biogradska Gora, green pastures and clear lakes reflecting centennial forests. The Park is renowned as a unique geomorphological region and, as such, it is attractive for scientific research. The seat of the park is in Kolašin. Numerous authentic buildings of traditional architecture are found throughout the pastures and villages next to the virgin forest reserve on the Bjelasica mountain range. 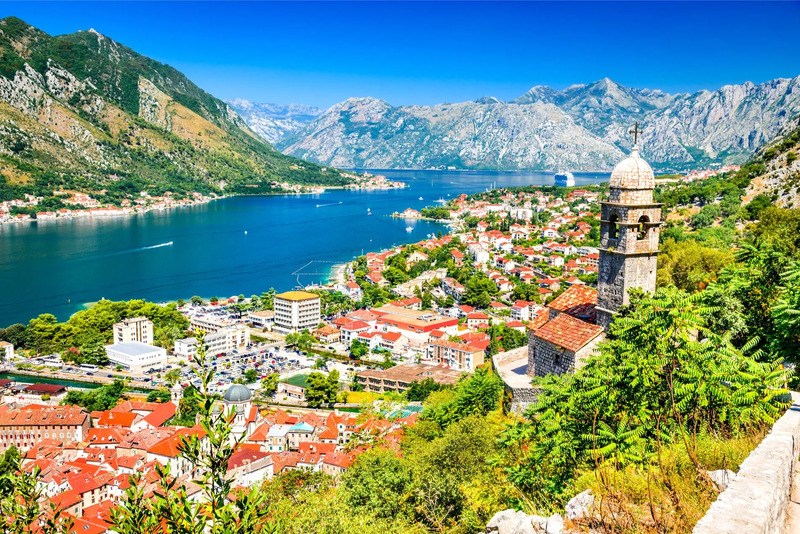 Mount Lovćen rises from the borders of the Adriatic basin, closing the long and twisting bays of Boka Kotorska and making the hinterland to the coastal town of Kotor. The mountain has two imposing peaks, Štirovnik (1,749 m) and Jezerski vrh (1,657 m). The mountain slopes are rocky, with numerous fissures, pits and deep depressions giving its scenery a specific look. Lovćen stands on the border between two completely different natural wholes, the sea and the mainland, and so it is under the influence of both climates. The specific connection of the living conditions has caused the development of the different biological systems. There are 1,158 plant species on Lovćen, four of which are endemic. 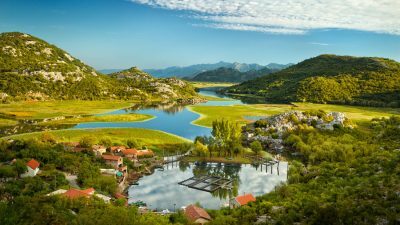 The Lake Skadar system is a well-known hotspot of freshwater biodiversity and harbours a highly diverse mollusc fauna. Lake Skadar is one of the largest bird reserves in Europe, having 270 bird species, among which are some of the last pelicans in Europe, and thus popular with birders. The lake also has habitats of seagulls and herons.